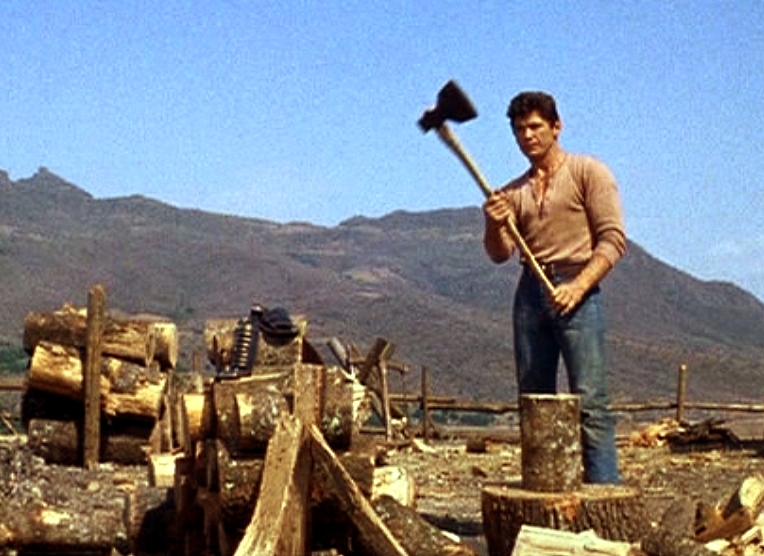 You know how sometimes you’re in the middle of building a house, and you have to stop and chop up some firewood? No? Well, it’s a thing that happens. And now I, too, understand. 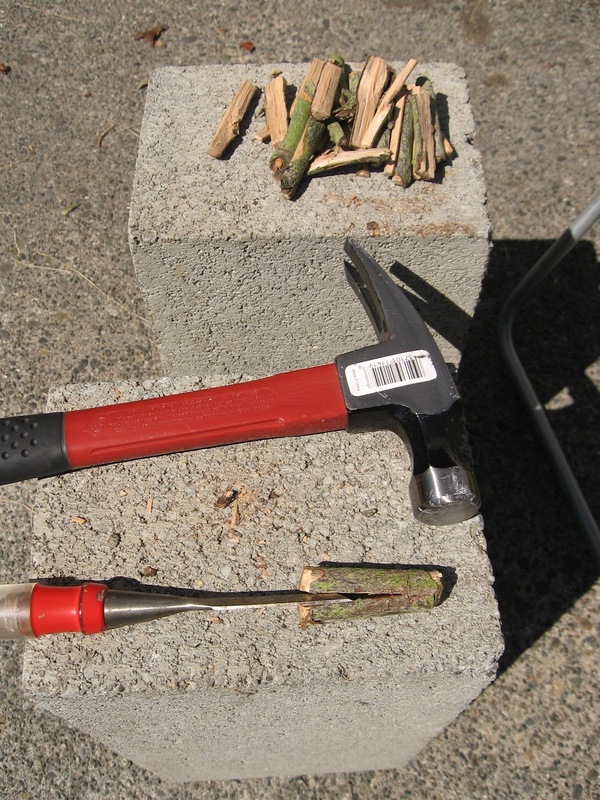 Yes, that is a miniature wood pile, all neatly split, and that is a chisel in the process of splitting a ‘log’ and a hammer for use with the chisel. Previous Previous post: A Quarter. Next Next post: I’m making a door!